If you're a traveler, chances are you want to find a way to up your social media and blogging game. Not only is traveling good for the soul, but if you have a large enough following and good content, chances are companies will pay you to do what you love. Now, you've just got to invest in good equipment. Find the best video camera for vlogging. Whether you love it or hate it, vlogging is here to stay. Just go to YouTube or log into Instagram and you’ll see thousands of eager millennials looking to get their big break. The digital age has paved the way for virtual unknowns to break into instant internet fame. Now's your time to join them and find the best camera for vlogging. Are you looking to make it big in the vlogging game? 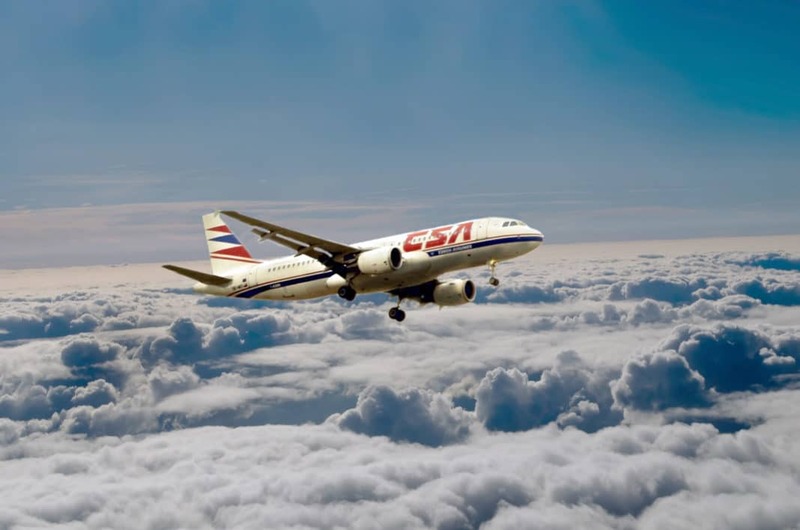 Or do you just want to share your favorite travel memories and tips? No matter what your goals are, we’ve got you covered. Take your pick from our list and find the best camera for vlogging. We've gathered some of our favorite high-quality video and DSLR cameras with built-in wi-fi for super simple social sharing. When searching for the best vlogging camera, there are many important features to consider. You should also be aware that some vlog cameras are more expensive than others. To cut the costs, find out what features you do not need. For example, since most vlog cameras offer close up shots, you won’t need to find a camera with a good zoom lens. Some good features you should consider are whether the camera has a wide-angle lens, cmos sensor, interchangeable lenses, how many frames per second (fps) it can shoot, and the quality of the LCD screen. You can even ignore megapixel count because that is only important for photo clarity. So what features should you look for in the best camera for vlogging? One of the first things you should look for in reviews and quality testing is its low light performance. If it’s an overcast day outside or the room you’re filming in doesn’t get a lot of natural light, you don’t want to be washed out with weird fluorescent tones. This is important for both indoor and outdoor lighting. Are you a seasoned vlogger? Or are you looking to get started in the travel vlogging game. On average, videos are watches 4x more often than photos are viewed on social media. This means, if you get out there and post more videos, you’ll get better engagement. With this competitive new Instagram algorithm, you’re gonna need all the help you can get. Owning the best camera for vlogging camera means you’ll get crisp, clear videos and great audio. When you’re traveling, a smartphone just isn’t enough anymore. You don’t want to be taking a video of Angkor Wat with the chatter of all the tourists in the background. For ease of editing and to add those sweet tunes to your videos, invest in a good camera for vlogging. We can’t emphasize this enough. So what are the benefits to having a vlog camera? We’re glad you asked. Since you’re already a travel junkie, why not invest in the best camera for vlogging you can buy? To those who’ve been interested, give it a try! Some of the best travel influencers (like Nainoa Langer) we’ve seen on social media have gotten their start by just documenting their travels. Practice makes perfect, so don’t be too hard on yourself if your first couple videos don’t turn out like content from Beautiful Destinations. Just find something you’re passionate about and get filming. Here’s another reason to buy the best camera for vlogging. If you have a true passion for it, vlogging can become a full-time career. Sure, it will require hustle, energy, and loads of traveling. That’s something we would happily put our dollars behind. Don’t quit your day job right away but if you have a knack for it, sooner or later, you probably can. 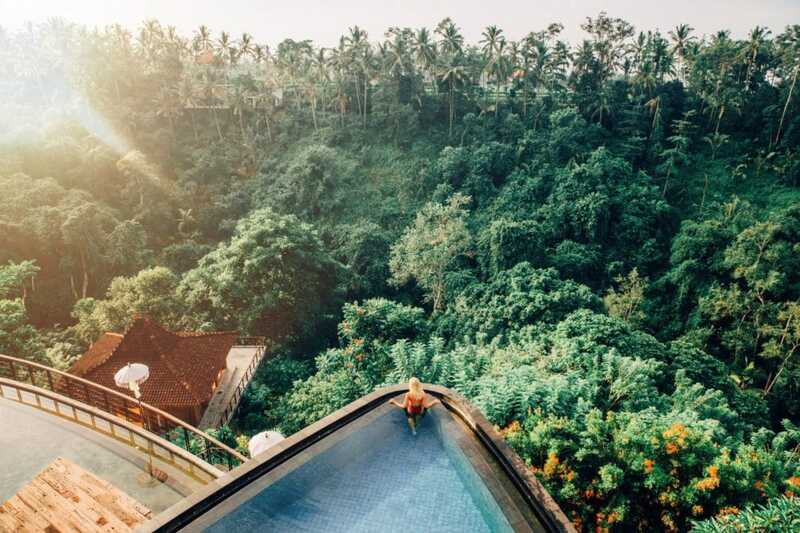 One of our favorite Instagram travel stars, Lauren Bullen (Gypsea Lust), used to work as a dental assistant. She wasn’t a fan of her day job and decided to take quit, embarking on a road trip around the Gold Coast with her sister, Elsa (Elsa’s Wholesome Life). You could easily say she has the world’s best job. Her life looks like something off a postcard and she’s managed to acquire a loyal fan base of 2 million followers on IG. 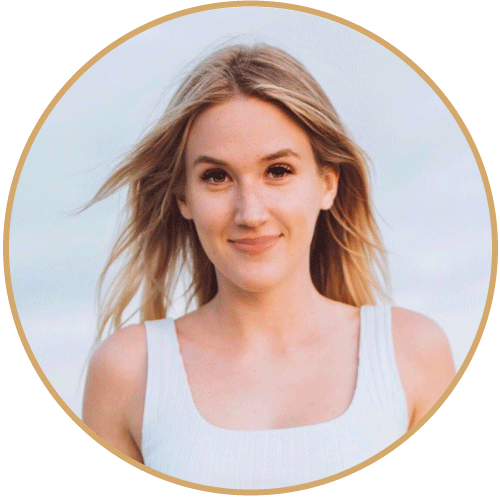 As a self-taught photographer and travel vlogger, her content has caught the eye of numerous tourism boards and big name clothing companies. While companies give her the big bucks, free flights, and places to stay, all Lauren has to do is travel to wanderlust destinations and document her adventures. How is a job like this even real? “There was definitely a moment where we thought, wow, this is actually our job. It’s an insane reality. It’s overwhelming but really exciting,” she told Weekend. So how does a traveler go from posting sporadic photos on their account to turning it into a profitable business? While Lauren had a personal account for a long time, it didn’t start growing until she learned how to use a camera and invested in top-notch photo content. She know travels the world, showcasing businesses, products, whatever exotic destination she sets her sight on next. Vlogging is a confidence builder. When you teach yourself and master a new skill, you can’t help but feel proud. When you’re speaking into a camera and sharing your passion with the world, you’re putting yourself out there. Sometimes that can be a bit scary but it’s so rewarding. It’s okay to be nervous. Start vlogging anyways. Think about the first time you record as a trial run. You’ll find out where to look clearly into the camera, how loudly you should talk, and just get some nerves out of the way. As a traveler, you’ll have to vlog in public to get the best footage. Vlogging will make you a person who can face the crowds, care less about what other people think, and help you discover a little bit more about yourself. If you gain enough views on social sharing platforms like YouTube and Instagram, you can get paid for vlogging. YouTube offers Ad Sense to monetize your videos. You can get sponsors, who will pay you to run an ad before your video starts or to talk about their products. For example, if you vlog about a point-and-shoot camera with w-fi connectivity, Canon might sponsor you. 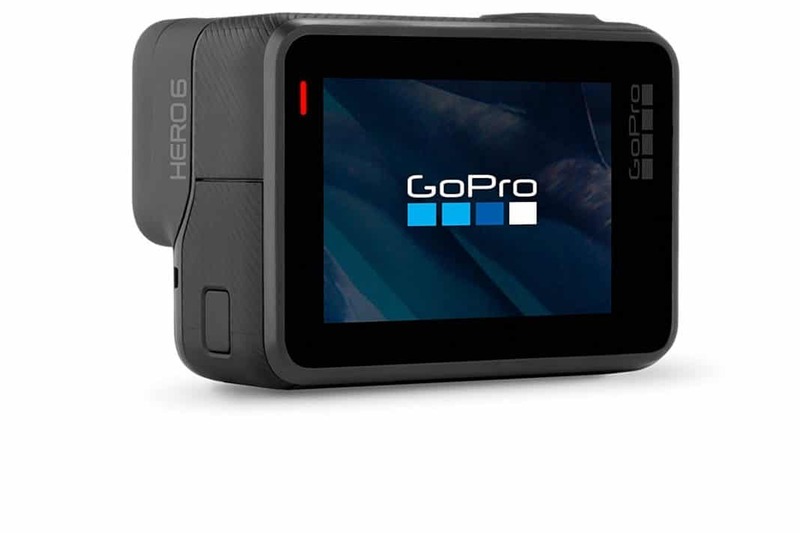 If you vlog about the Gopro Hero, you might get a company sponsor. Getting affirmation from the community feels good too. Putting your thoughts, feelings, views, and art on the web is a great way to receive feedback. Vlogging can be a catharsis too. Before you splurge on the best camera for vlogging, know what content you plan to create. Most vloggers look for color and sharpness in a camera. The best cameras to do the job are usually DSLRs. You’ll find that most fashion and beauty bloggers use these types of cameras for their videos. It’s also a good idea to know how long you want your videos to last because battery life for videos varies between cameras. Consider buying that extra battery pack. While some vloggers opt for long videos like tutorials, the most travel videos are usually under four minutes long. It’s easier than ever to compile your favorite clips into an epic must-see video. To get started, you’ve just got to know your budget. While there are many entry-level vlogging cameras around $200, you get what you pay for. If you want the best camera for vlogging, make sure it’s suited to your needs. To get better at vlogging, you’ll have to upgrade your gear in the future. It’s so much easier to save up for the camera you want and learn how to use it than to invest money in mediocre equipment and end up disappointed in the quality of your videos. It’s a much better idea to invest in the best camera you can afford from the start and save yourself the frustration of several upgrades. Finding the best vlogging camera can be hard. Before beginning your search, know what makes a device the best camera for vlogging. When you're looking to buy a new vlogging camera, you'll quickly realize how many different options there are. You can spend hours on the web just researching and comparing different DLSR, mirrorless, and other vlogging cameras. To help you answer any questions you may have and save time, we created this guide to finding the best vlogging camera for you. Whether you're a vlogger looking to make an upgrade to a better (and get rid of that selfie stick) or you're just about to start a vlog, we've got you covered. This guide will help break down the nitty gritty details of what makes a good vlogging camera. It will also highlight the best vlogging cameras for video recording and video editing at different price ranges. Find the right vlogging camera for your budget. Explore the best time-proven cameras and new models. Without further ado, here are some questions to ask yourself before you make the big purchase. 1. What Brand Do you Like the Best? Canon is the leading player in the vlogging industry. Most Canon vlogging cameras provide excellent image quality, great sound, and a variety of special features that distinguish them from the rest. Perhaps what is even better, you can purchase them at affordable price points. This is ideal for entrepreneurs and beginning vloggers who can’t afford the high-end models. Another great company for vlogging is Nikon. They also have excellent cameras that take the hassle out of video production. With varying priced cameras starting from $200, choosing a Nikon camera can help you make the most of you vlogging efforts. Other notable brands include Sony and Panasonic. 2. What Matters More? Price or Quality? We’ve mentioned this already but you get what you pay for with cameras. It is much easier to save for the one you want than to spend your savings on a mediocre device. While not all of the cheaper cameras are low quality, you need to do your research before you make the big purchase. Let's be real. The most important quality to look for when buying a vlogging camera is image quality. One of the biggest indicators of image quality is resolution. This year, there are three common resolutions: 720 (HD ready), 1080p (Full HD), and 4K (Ultra HD). We highly recommend you look for a camera that is at least 1080p or above. Anything below 1080p won't have a high enough image quality and can hinder the growth of your vlogging channel. Plenty of cheap DSLR cameras and point-and-shoot cameras today offer 4K image resolution. So, price shouldn't be too much of an issue here. Vlogging cameras need to be lightweight and portable so you can carry them around easily. Heavy or bulky cameras are a hassle to take around. The vlogging cameras we recommend are fairly lightweight so you can carry them around without getting sore. It's very common to take vlogging videos while walking around or doing something that requires movement. While video editing software like Adobe Premiere can help out a lot, it won't come close to the quality of a good camera with in-body optical image stabilization. This feature helps to prevent shaky video footage and improve the overall quality of your vlogs. Go big or go home, right? While we know Canon’s 5D Mark IV comes at a steep price, it’s worth every penny. This could honestly be the best camera for vlogging on the market. Why? It’s the king of DSLRs, especially for video. 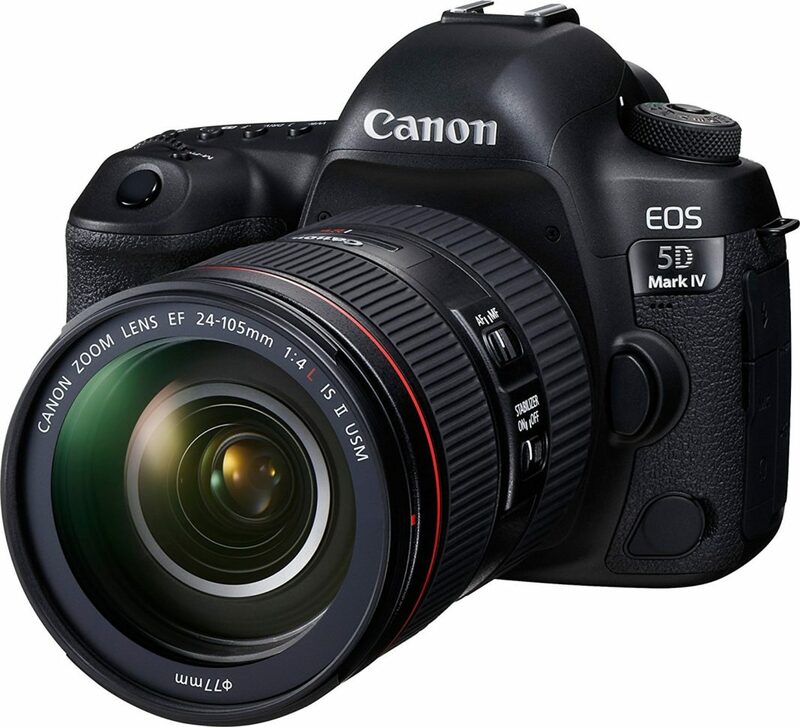 As the latest update in the 5D series, it offers stunning 4k video clarity. The camera has an amazing autofocus and dynamic range for high-contrast scenes. Everything you shoot turns out crystal clear and in vivid color. While most cameras lose color when you turn up the ISO levels, the 5D Mark IV doesn’t. So if you’re shooting a sunset time lapse in the evening, don’t be afraid to turn those levels up a bit. You can trust this camera will live up to its reputation and deliver you the best quality in low light situations. We’re hooked on it. The only cons you’ll find are that it’s pretty heavy to carry around and there’s no in-body stabilization. But hey, that’s what backpacks and tripods are for, right? For a point and shoot camera, Canon’s Powershot G7 X Mark II can take pretty amazing photos and videos. What makes it a best camera for vlogging, however are a combination of its features. If you want to take a trip and pack light, this is the camera for you. It’s portable and super easy to carry around on long day trips. Its ability to record videos like a DSLR without the weight is the main reason to buy this camera. Three additional features make this little camera a steal, its touchscreen, flip screen, and autofocus system. 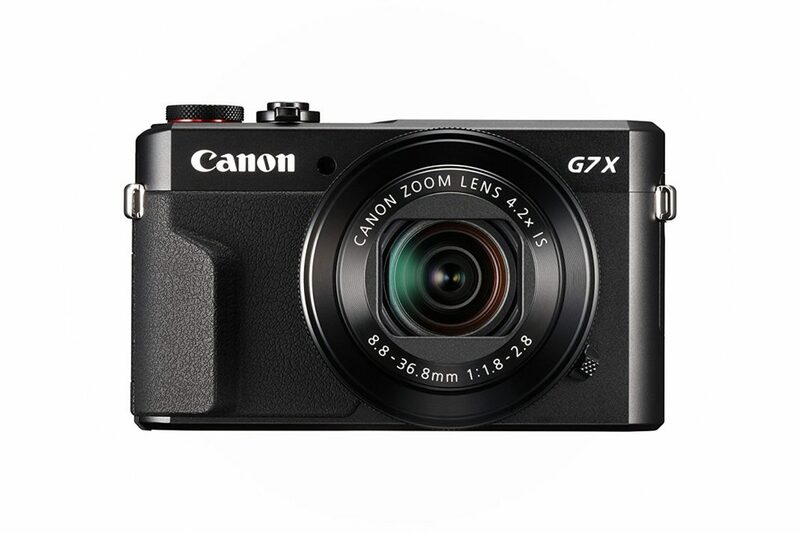 While each of these features are useful on their own, in combination, they make the G7 X a very vlogger friendly device. With the touch screen, you can quickly navigate your way through the device. It also lets you set a focus point when recording your videos. 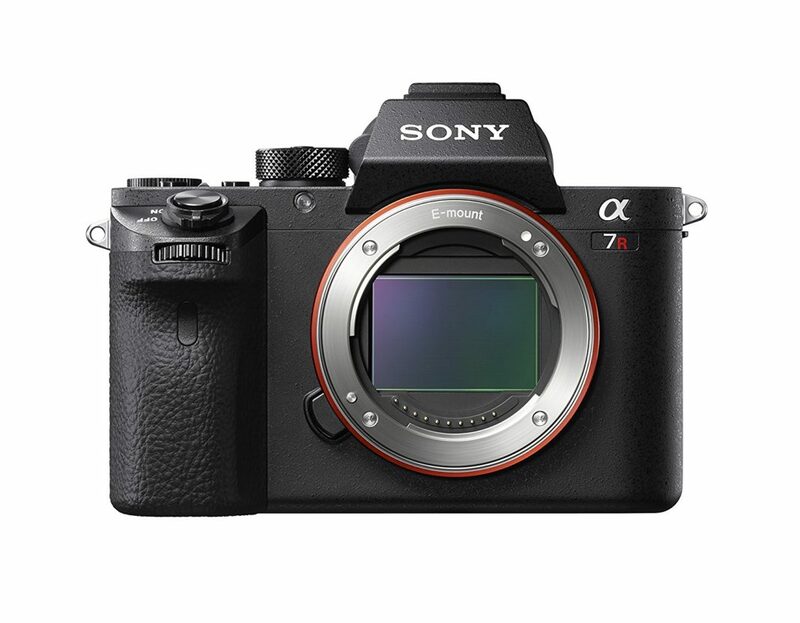 The Sony a7R II comes with very useful tools for videography and photography. One of the main reasons vloggers choose this camera is the stunning 4k video quality and offers 29 minutes of continuous filming. It’s also quite a bit cheaper than Canon’s 5D Mark IV. Similar to the Mark IV, you can turn the ISO levels up without having to worry about digital noise. It also offers something that the latest Canon 5D model does not - in body image stabilization. If you’re taking photos while riding on the back of a moped in Thailand or filming your friends climbing around the Napali Coast in Hawaii, you’re going to need it. If you don’t have a lens with OIS, this will really come in handy. Maybe the biggest reason the a7R II is giving us so much to talk about is its compatibility with other lenses. Its adaptors allow you to use lenses from other brands. Now, you can finally pair that Canon lens with the camera body you always dreamed about. This is particularly useful because while the a7R II’s camera body is great, Canon lenses are still the best on the market in our book. We all know GoPro as the best brand for action cameras. That’s not the only way you can use them. While you certainly wouldn’t expect it, the GoPro Hero6 has also been rated a best camera for vlogging. Why is using a GoPro for vlogging a good choice? First off, it’s super portable. While other cameras take up way too much space in your carry on, you can fit a GoPro in your pocket. This is really useful if you’re a frequent traveler. Sine it’s so small, you can also get away with using it in public without drawing too much attention to yourself. It also has quality sound. One of the biggest problems with most of the regular cameras on the market is they have poor audio. You almost always have to purchase an external microphone. Not only does that cost more but it’s just another piece of equipment you have to lug around when you’re shooting. GoPros handle audio much better than most inexpensive cameras. Last but certainly not least, you can edit from your phone and enjoy stunning 4k video and image quality. 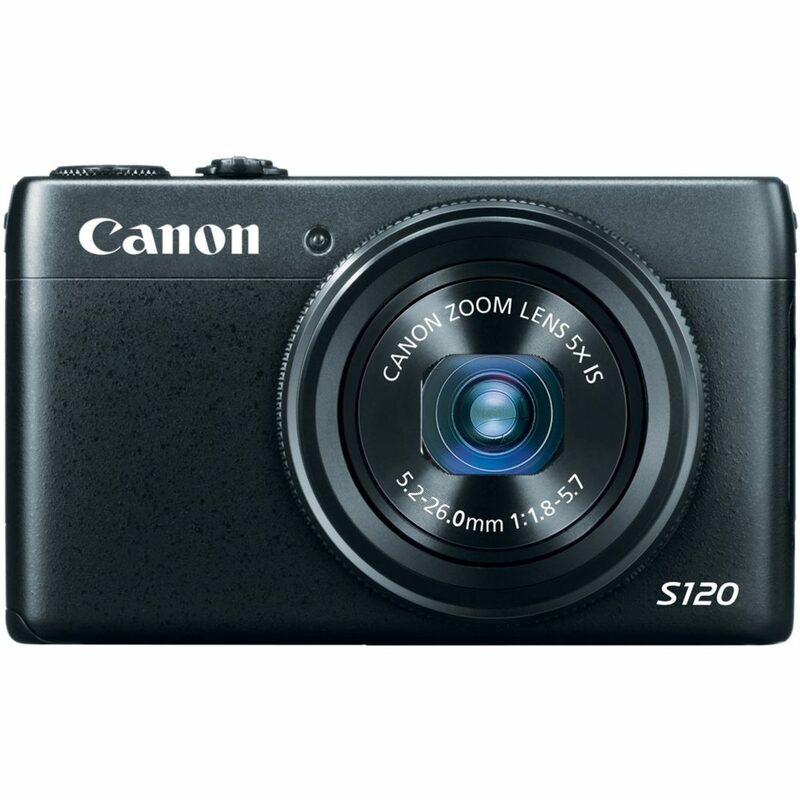 Another popular choice for the best camera for vlogging is the Canon Powershot S120. At only around $300 it offers some pretty good qualities. Built in Wi-Fi lets you seamlessly transfer captured video and upload to social sharing sites. This camera captures video in 1080 full HD. Its built-in microphone records stereo sound and it has a 12.1 megapixel CMOs sensor. In combination, these features allow the camera to provide a pretty exceptional performance in low light settings. The included lens is an f/1.8 with a wide angle view and is good for vlogging. If you’re looking to start out with a good quality, affordable little camera this might be the one for you. While it doesn’t have all the bells and whistles, it’s good for vlogging newbies. So, if you don't want to spend too much while you're learning, check out this camera. It's pretty decent for its price! 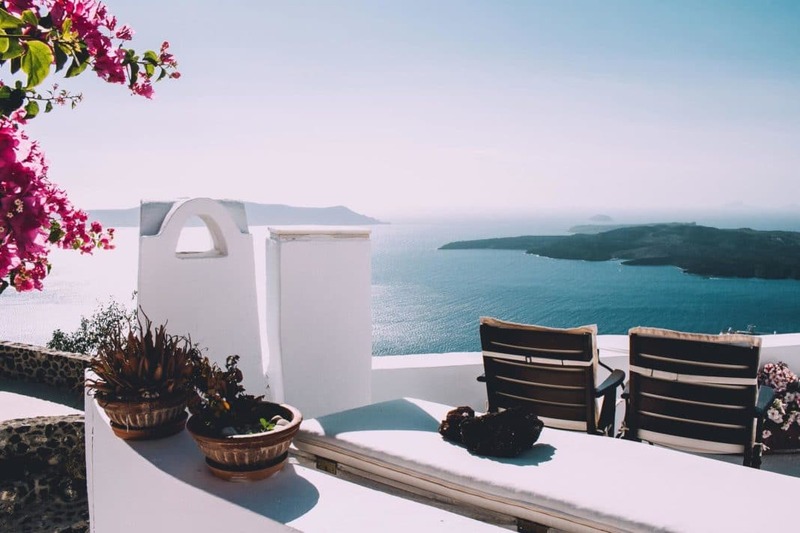 If you’re interested in investing in some other great travel gear for your adventures and other tips, be sure to check out these articles below. We hope they will get you excited to create some amazing content on your next big adventure. With all the adventures you go on, you'll be glad you captured them all. We hoped we helped to make your process a bit easier when choosing the best camera for vlogging. Now, all you've got to do is pick one. We can't wait to see what content you create. If you have some vlogging tips you'd like to share or just want to show off your Instagram, comment below and we'll be sure to check them out!